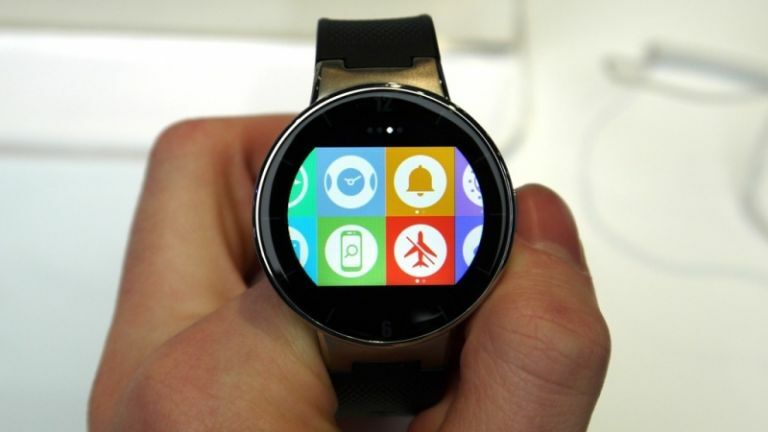 We first saw the Alcatel OneTouch smartwatch at CES in Las Vagas. With an affordable price and decent features we were left intrigued by the concept, hoping it would make it to our shores. Thankfully our wishes have been granted, and today (May 14) Alcatel has announced that the OneTouch will be available from mid-June. The watch is jam-packed with sensors, including a heart-rate monitor, accelerometer, gyroscope, altimeter and e-compass. This will allow users of the watch to track in-depth data surrounding their sleep, distance, steps and calories. As well as fitness smarts, the smartwatch also includes the standard notification capabilities, alerting users when a call or message comes through to their smartphone. The OneTouch Watch is compatible with any Android smartphone running 4.3 or higher, and iPhones running iOS 7 and above. It's also dust and water-resistant, with a claimed 2-5 day battery life. The watch is reasonably thin at 10.5mm and features a 1.22-inch IPS display. It's available in several colour options, includes Bluetooth 4.0, NFC and an embedded USB port for simple charging. It sounds like the perfect device, so you'd expect to pay a bucket-load right? Wrong! The Alcatel OneTouch Watch will be available in Currys and PC World for a very reasonable £99.99. Maybe now's the time to jump on the smartwatch bandwagon? We're still waiting for a review unit to tell whether it's much cop, but until then you can read our first impressions here.